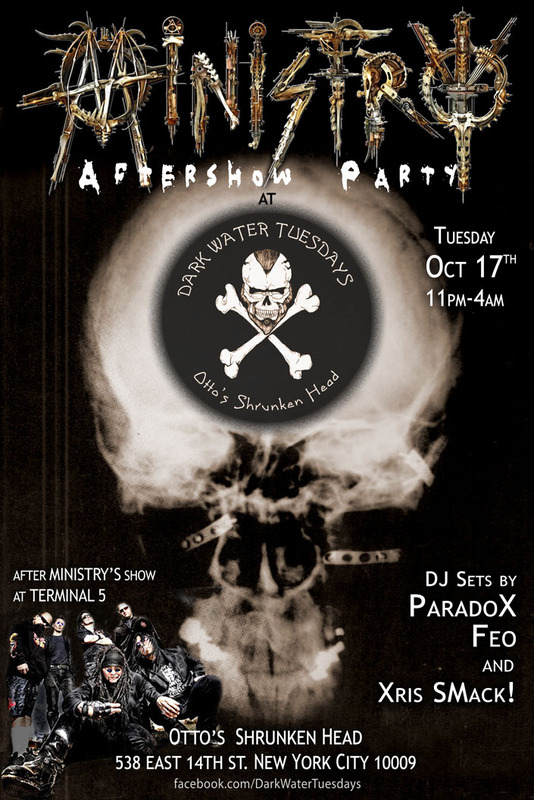 10/17/17 – Dark Water: MINISTRY Aftershow Party! Dark Water: MINISTRY Aftershow Party! :Dark Water, DJ Paradox, Father Vincent, Industrial, industrial Metal, Ministry, Otto's Shrunken Head, Otto's Shrunken Head Tiki Bar, Xris SMack!